Digital x-rays reduce the amount of radiation needed as compared to traditional film x-rays. The improved diagnostic capability of digital x-rays and the ability to view the x-rays on a computer screen allow the patient to better understand and follow treatment. Digital x-rays are instant, so there is no longer a need to develop the film. Digital x-rays save time and increase patient care. It’s also a very green technology. By eliminating film, developer and chemical waste, digital x-rays are better for both the patient and the environment! 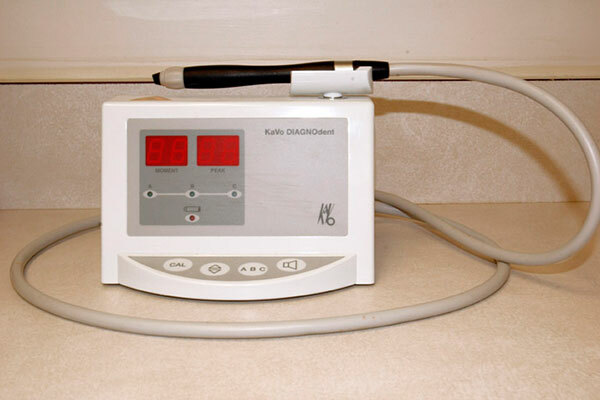 An intraoral camera combines the latest video technologies with dental care. Both the patient and Dr. Sherman can see detailed images of the teeth and mouth in real time. With an intraoral camera, patients are able to better understand what is happening and review the status of their oral health. With this latest technology, a laser detects cavities that are not yet visible to the naked eye. This technology enables dentists to practice minimally invasive dentistry by providing a better possibility of diagnosing this disease at an early stage. These television monitors are found next to every patient chair. Patients can enjoy their favorite movie or TV show on Netflix®. Patients can also view their dental x-rays when speaking to the doctor about the findings for a better understanding of their oral health.